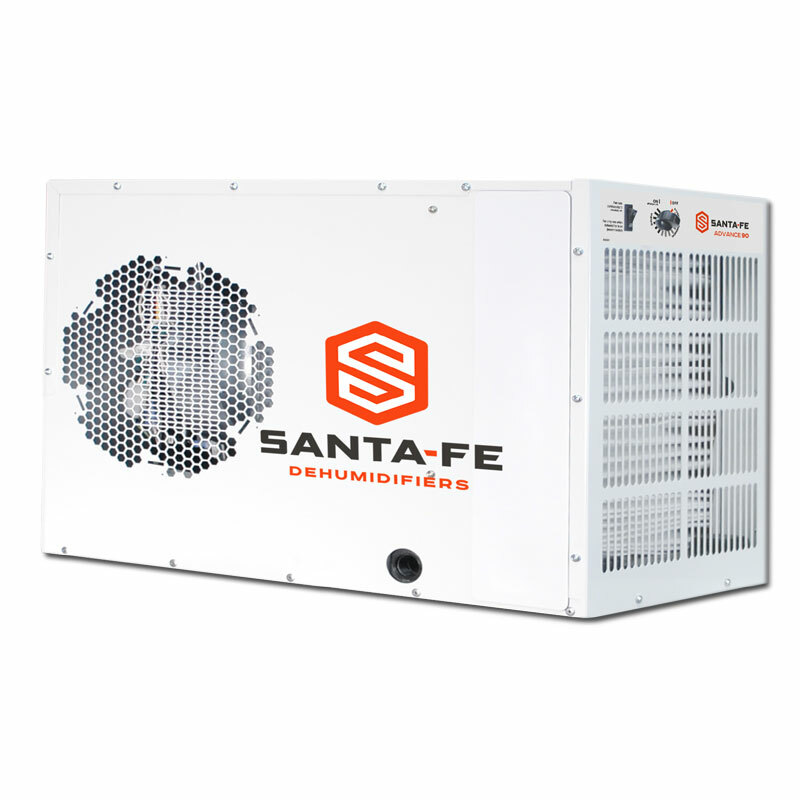 The new Santa Fe Advance90 Dehumidifier (formerly Advance2) removes up to 90 pints of water per day and exceeds EnergyStar efficiency requirements. It effectively dehumidifies up to 2,200 square feet and is the ideal free-standing dehumidifier for crawlspaces and basements. The Advance90 stands only 21" high, which means it can fit in area where headroom is at a premium. The unit is engineered for extreme quiet operation and is optimized for low heat load. Optional condensate pump and ducting kits provide the installation flexibility necessary for the most challenging applications. Superior Air Filtration - MERV-13 filtration is standard on the Santa Fe Advance90. This superior level of air filtration also keeps the unit working at peak efficiency and out performs other conventional dehumidifiers. Large Capacity - The high capacity provides 90 pints per day of water removal at standard rating conditions. Basements and crawlspaces (up to 2,200 sq. ft.) are no problem for the Advance90. Optional Equipment - Ducting kits and condensate pumps are available for use with the Advance90. These optional kits provide the ultimate in flexibility for your specific installation requirements.